 Welcome to Waimate District, a small region in the rolling foothills of the central South Island. Over 7000 residents, hundreds of farms, and several small towns make up the beautiful Waimate District set in an outstanding natural landscape. The District was established in 1854, and is loved for its outdoor lifestyle and Edwardian history. Discover bushland walks, lakeside picnics, rural cycle trails, trout-filled rivers, and rocky beaches. Taste the locally grown berryfruit, and enjoy warm country hospitality. Waimate is a genuine old-style Kiwi country town beneath the Hunters Hills. Immerse yourself in the relaxed country atmosphere and visit the Edwardian buildings, historic churches and gorgeous public gardens and reserves. No visit to Waimate is complete without checking out the amazing silo art. Be awed by the sheer scale and detail of this amazing street art. Victoria Park, at the end of Queen Street beneath the 1893 avenue of oaks, has superb flower displays, a wallaby enclosure, a fantastic new playground designed by kids (2017), a velodrome and soundshell, and plenty of lovely spots for a picnic. Knottingley Park, on the outskirts of town, is perfect for a parkland walk with your dog in the stunning arboretum. 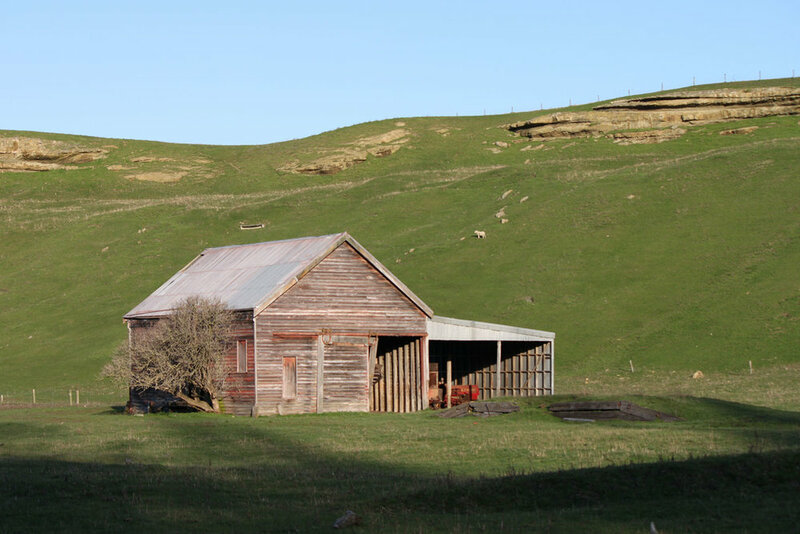 The Waimate township is surrounded by mountain-biking tracks, hiking trails, and superb hunting and fishing areas. The golf course is world class. Wallabies were imported to Waimate for the fur trade back in the 1800s, and - unfortunately for our farmers - they love it here! Visit Enkledoovery Corner to feed the pet wallabies, or see them at Victoria Park. The Museum is one of New Zealand’s historic gems. This vibrant museum is unique in that it’s located in the town’s former courthouse. It is home to thousands of items and images telling the stories of Waimate district - from a tiny watch to a traction engine. The Norman Kirk Memorial Swimming Pool is kept comfortably warm, with temperatures between 28C and 32C. It’s open from Labour weekend until mid March. Whether you want a quick bite, a casual dining experience, or tasty morsels for a picnic, Waimate district has a range of eateries to satisfy your hunger and quench your thirst. Pop into the local cafes for a quick bite, or visit the pubs (in Waimate or surrounding country areas) for something more substantial. For the full list of dining options click here. This is a rural service town, so you’re likely to find gumboots at the door of the New World Supermarket! You won’t find many chain stores here, but Waimate’s little town centre supplies everything you need: there’s cash machines, a Post Office, pharmacy, cool op shops and vintage stores, clothing, a cheese shop, craft and sewing supplies, hunting equipment, fishing tackle, and gift shops. Browse the Saturday morning community market where you can try home-grown and home-made produce and meet the farmers and gardeners. Parking is free, and the sunshine is perfect for our local strawberry crops, and for living! Waimate is an ideal base for exploring the other attractions in this scenically diverse region. Take the time explore and enjoy the country pace of life. On the hills behind the town and visible from SH1, is a unique tribute to the role played by the Clydesdale horse in the development of the rich farm lands of this region. You can drive, cycle, or walk to the White Horse monument in Centrewood Park. North-east of Waimate and almost within earshot of the waves of the Pacific Ocean is the township of St Andrews. You’ll see the ruins of a historic granary near SH1 at the northern entrance to St Andrews. It was built in 1878 to store grain before moving it by rail to Timaru and beyond. There’s an information board nearby telling more of the history of this area. There’s a camping ground just south of the township. The Catholic Church, one street back from SH1, still has regular services. The streets of St Andrews have a distinctly literary flavour and include Dickens, Eliot, and Thackeray. St Mary’s Church, Esk Valley, is a gorgeous historic church south west of St Andrew’s township at 95 Church Hill Road. The Maori name of this little village translates as “stream of the cicadas” or “murmuring stream”. It's handy to Hook Beach - one of the district’s best fishing beaches - and to the walking and picnic areas inland at Gunns Bush. The town is home to the Makihihi Fries factory, where locally-grown agria potatoes are processed into famous in New Zealand fries. This family-owned company was started by Jac Bleeker in 1983. If you’re looking for a great meal, look no further than the Makikihi Country Hotel. The menu is amazing, not your average pub grub. Relax in the newly redecorated dining room, or the sunny garden bar. South of Makikihi at Lower Hook Beach a small rock cairn commemorates the meeting place of Bishop Selwyn and Edward Shortland in 1844. On the northern bank of the Waitaki, near where the river meets the ocean is the anglers’ mecca - Glenavy. This small township on State Highway 1 has accommodation, a hotel and all other services that keen anglers require while they wait for that big catch. For more information on fishing click here. Irrigation from the Waitaki River has transformed the formerly stoney country to lush green paddocks farmed mostly for dairy production. The first Waitaki River bridge opened in 1876 for cars and 1877 for rail. Local legend has it that on this bridge, a year after it opened, the Maori prophet Te Maiharoa stopped an approaching train by mysterious means to give his party time to get off the bridge. The current bridge opened in 1956. General store, fuel, pub, accommodation, salmon hatchery. To the northwest of Waimate is limestone country. Bluecliffs/Maungati and its outcrops of limestone, studded with cabbage trees, offers a unique New Zealand attraction - an exceptional collection of examples of Maori rock art. This area is home to a small farming community, with primarily sheep and cattle farming and some deer farming. Maungati comes from the Maori words "maunga", meaning "mountain", and "ti", meaning cabbage tree, and thus means "mountain of cabbage tree". Many of the hillsides are covered in cabbage trees. The Maungati Golf Course provides locals and visitors alike with a classic kiwi country golfing challenge. Evans Crossing, nearby on the Pareora River, is a popular spot for swims and picnics. The Bluecliff area’s namesakes are large cliffs of blue silt found on the north bank of the Otaio River. There are challenging hikes, and a lovely camping ground at Mt Nimrod. Don’t miss Waimate district’s scenic inland highway - incredible views, quiet roads, and rural adventures are waiting for you on SH82. Head west from the Waimate township, through the Waimate Gorge. You’ll arrive at Kapua, and Waihao Downs. This is heartland rural New Zealand, dotted with sheep and beef farms and some dairying. The land is limestone country, and it’s famous for fossils, including those of the biggest penguin on record - the 1.3m tall Kairuku, who lived around these parts 27 million years ago. Back then New Zealand was just rocky outcrops in the ocean, handy to a plentiful food supply for the giant penguins, who weighed up to 60 kilograms. In 1894 a Kapua farmer uncovered the largest-ever find of moa bones on record - read about it on the information panel just off the highway at the end of the gorge. This area was once a lagoon. Early settlers said it was known by Maori as at the the “lake of mirrors” or “the clouds turned around”. If you want to explore further, head to McCullochs Bridge, over the Waihao River. You’ll travel past huge limestone rocks, down to the river and Waihao Walkway. This area is regarded as a nationally important fossil site. It's a good spot for a stroll and a picnic. Back on SH82 at the Waihao Forks Hotel is home to New Zealand’s most unique war memorial - a bottle of beer that Ted d’Auvergne left behind when he left for WW2. He never made it home, and today his bottle is still behind the bar. There’s a memorial service in the pub every year on Anzac Day. This neck of the woods is mountain-biking heaven on the 60km Pentland Traverse to Meyers Pass Trail, a mostly gravel track. Waihao Forks is a popular starting point for cyclists route through to Hakataramea and the Waitaki Valley. It’s also an alternative route to the Hakataramea. For more information click here. Continue west from Waihao Downs on SH82 and you’ll arrive in dairy country: Ikawai with its flat irrigated land is home to thousands of dairy cows, most of them farmed outdoors. Irrigation is essential for dairying in the region, as the area is drought-prone. Water from the Waitaki River feeds the many kilometres of irrigation canals. You’ll get your first glimpse of the river when you reach the old stone wall, which was built by public works labour during the Depression of the 1930s. The scenery as you drive up the Waitaki Valley is spectacular throughout the year with views across the plains and inland to the high alps. To experience some truly isolated high country splendour try a drive up the Hakataramea Valley, signposted from the Hakataramea River Bridge (instead of following the road across the Waitaki River bridges into Kurow and North Otago). At the top of the valley is the Hakataramea Pass, an unsealed road that takes you through to the Mackenzie Country - this mostly unsealed road, and is a spring and summer trip only. This pass is mountain biking heaven, offering 83km of riding from Haka township through to Dog Kennel Corner in the Mackenzie country. The ride takes you into the high land, past farms and high country stations, and through the Haka Pass with sweeping views of the Southern Alps and Aoraki Mt Cook. From late March you may be lucky enough to see salmon spawning in the Hakataramea River, although numbers have dropped in recent times. Hakataramea is most famous these days for being the childhood home of former All Blacks captain Richie McCaw. A team of locals is fundraising to build a McCaw statue across the river in Kurow. Not far from the Haka Bridge, up McHenry's Road, you can check out the new picnic ground being established by a keen group of locals called the Hakataramea Sustainability Collective. Find them on Facebook. These beautiful lakes are one hour inland from Waimate on SH82 and on your way to the Mackenzie Country and Central Otago. The lakes are part of the massive Waitaki hydro system which powers much of the South Island from water captured in the Southern Alps. The lakes are a stunning environment in all seasons, from the rich colours of autumn, into the snowy hills of winter, and searing summer days. They’re popular for camping, photography, fishing, boating, cycling, and walking. Waimate District Council has serviced camping reserves at Fishermen’s Bend, Waitangi, Te Akatarawa, and Briars Gully. The first lake you reach is Lake Waitaki, created by a 36m high spill weir dam built between 1928 and 1934. The next is Lake Aviemore, and you can drive across the dam here to access beautiful spots for picnics, fishing, walking, or cycling. Continuing inland on this road you'll drive across the dam of Lake Benmore, and into Otago. Benmore Dam was commissioned in 1965, and is New Zealand's largest earth dam. Boating, camping, fishing, walking, cycling and mountain biking.